Don't miss our Cookbook Buzz event on April 16 at the Parkway Central Library! The Free Library's Culinary Literacy Center is coming up on four years of having our kitchen doors open! One of the most frequent questions we get is, What's your favorite cookbook? As if we could respond to that with one simple answer! It depends on what time of year it is, what mood we're in, whether or not we're hungry, what's available at the farmers' market, if it's a workday or weekend, and who's eating. I recently asked our staff and after everyone calmed down about the horror of having to narrow it down to just a few, read on below to see what we came up with. Jamie, who makes recommendations to the Parkway Central's Julie Dannenbaum Cookbook Collection, loves the classics. Her list includes The Joy of Cooking, Edna Lewis's beautiful narrative prose and recipes in The Taste of Country Cooking, and Mark Bittman's How to Cook Everything: Simple Recipes for Great Food. Suzanna reaches for newspapers and magazines when she's looking for inspiration, including the simple but elegant Cooks Illustrated and the seemingly limitless archives of the New York Times Cooking section. 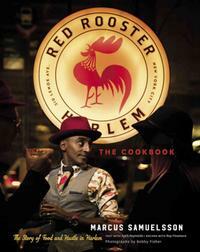 Paul, currently studying Culinary Arts and Science, reaches for Harold McGee's On Food and Cooking: The Science and Lore of the Kitchen and Red Rooster Cookbook: The Story of Food and Hustle in Harlem, Marcus Samuelsson's book that's part autobiography, part cookbook. For me, my copy of Marcella Hazan's Essentials of Classic Italian Cooking is stained with food splatters and has copious notes in the margins. Yotam Ottolenghi's Jerusalem is also as delicious to read from as to cook its recipes. Shayna is our resident cookbook afficianado, with over 600 in her personal collection which she's been building since she was 13. She was hard pressed to name her favorites, but narrowed it down to new loves Bread is Gold: Extraordinary Meals with Ordinary Ingredients by Massimo Bottura with recipes from star chefs, Anna Lappe's Grub: Ideas for an Urban Organic Kitchen, and Ruth Reichl's Comfort Me with Apples: More Adventures at the Table, which is so well loved, she could recite it from memory. Being such lovers of culinary tomes, we are thrilled to bits to be hosting three Cookbook Superstars at our upcoming Cookbook Buzz on April 16 at the Parkway Central Library. Ruth Reichl, former editor-in-chief of Gourmet magazine, and bestselling author of My Kitchen Year: 136 Recipes That Saved My Life (and Shayna's favorite, Comfort Me with Apples), Julia Collin Davison, host of America's Test Kitchen and co-author of Cooking at Home With Bridget & Julia, and Jodi Moreno, a natural foods chef, photographer, and author of More With Less: Whole Food Cooking Made Irresistibly Simple. Presented by the Culinary Literacy Center in partnership with Borrow.Read.Repeat., the evening includes conversations with the authors, a sneak peak at cookbooks that are hot off the presses, and some delicious swag including a free recipe book from Ruth Reichl's My Kitchen Year, paired with the perfect audiobook. We hope to see you there—we'll be the ones nerding out over our favorite cookbooks! What are some of your flavor-ite recipes and cookbooks? We'd love to hear your picks—leave a comment below! Add a Comment to Buzzing about Cookbooks!